What’s Up Pizza’s this week we have a great episode chalk filled with Super Delegates and Bern Feeling… But seriously we have a loaded episode as we are preparing mentally for E3. We are talking about Watch Dogs 2, Blizzards partnering up with Facebook, Injustice 2, Japan’s favorite Pokemon and even FIFA 2017. 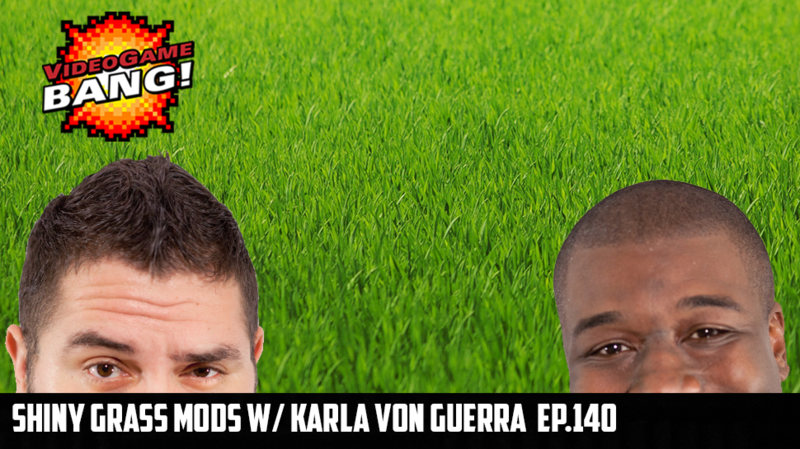 On this weeks show we have Cory Vincent, Sir Aaron Carter, David Webb and special guest Karla Von Guerra. Just listened to the podcast, and the segment about the Fallout modders SUPER interested me (being a former Bethesda game modder myself). I would consider any “ripping” of any art assets or code plagiarism without the consent of the original modder. I know that on at least the older mod marketplaces like the Nexus Mod sites would have some kind of oversight and regulation of mods that clearly took other peoples’ work and claiming it as their own (as a side note, you weren’t allowed to make mods using any visual assets from PREVIOUS games like taking a scamp model from TES:Oblivion and putting it into a “Daedra Mod” for Skyrim). Imitation and stealing are two different things. If people want to make near-exact copies from scratch of a 3d model or code to one on a PC mod, then that’s OK (but still kinda douchey). Modders work hard to make their things, and if someone wants to use their work on a mod for a different system, the least they can do is get the original modder’s consent or just make a copy. Good points thanks for the comment. So now that we’re moving into the time where consoles will have mods what steps do you think the industry should take to prevent this sort of plagiarism? I think it’s hard to actually have the “industry” regulate this kind of stuff, to be honest. I know it’s going to get much more important when money starts being involved- people paying for, and making money off of mods. I think what’s most important right now is to lean on the modding community to regulate itself… modders and players either informing original authors of the original mods or informing those in the mod marketplace of malpractices. And that’s kind of the thing. Among PC gamers, the modding community is older and more established, and you have a newer community of console players coming in and it feeling like the “wild west” as you put it. But it’s not the wild west. I think the best way to look at making equivalent mods from PC to console is to look at how modders make different language versions of mods. It boils down to credit and consent. If a person wants to make a Russian version of a large-scale quest mod (with new weapons, armor, models, dialogue, etc), but that only exists in English, I’m certain that the original author really wants NOTHING to do with putting in the work to do it. That being said, the person interested in making the Russian version should get consent for doing all the translating, and then when the mod is complete, make sure the credit goes to the original author for doing all the work for making the original English version mod. I think the same applies for console. The if the content of the mod is the same, and the original author doesn’t want to put in the work to make their PC mod work for console, the the console mod creator just has to gain consent AND give credit. If not, the modding community, mod marketplace, and players of both PC and console should report and regulate. When major money starts being involved, then the gaming industry has to take a step back and inspect how monetizing mods actually need to work. Things will get much stickier.